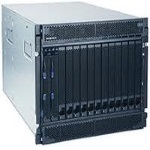 Maxicom provides refurbished enterprise server equipment as well as certified and non-certified systems from IBM, Hewlett-Packard (HP), Cisco, EMC and many others for value added resellers. Pre-owned equipment is attractive to end users as a lower-cost solution in common situations. Whether your customer needs temporary server equipment for short-term or peak-capacity situations, backup solutions for data centers or data center relocations, or just budget-friendly spares and backups, solutions can help.